I wanted to come to University and study something where I could get more hands on experience writing and the Journalism course offered me this. I loved the fact that I could study in the city, and that the course was NCTJ accredited. “I knew I wanted to study something English based, but I found studying A-Level English a little tedious. I wanted to come to University and study something where I could get more hands on experience writing and the Journalism course offered me this. I loved the fact that I could study in the city, and that the course was NCTJ accredited. “I grew up in Nottingham, and although I had not decided before I came to University that I wasn't going to move away, NTU just seemed the right fit for me. Nottingham is a really great student city and has loads of new restaurants and bars popping up all the time- it’s great for going out for cocktails or something to eat! Everything is easy to get to and there’s also good transport links to the rest of the country should you need to travel. Nottingham Trent University is also a fantastic university for student life. The students union building and gym are brilliant and a great place to spend time with your friends away from studying. “The fact that the course was NCTJ accredited was one of the main reasons I came to study at NTU as I knew from going on work experience that it was something employers were looking for. The newsroom also stood out as I hadn’t seen anything like it anywhere else. Also almost all of the lecturers have experience working in the journalism field which means they have great industry links. “As part of the NCTJ accreditation we had to study several law modules which I found really interesting. Amanda Ball is a fantastic lecturer and makes everything easy to understand. We were encouraged to go out and attend court cases which gave me a real insight into working as a reporter and how the legal system works. “I also had to complete a 3 week work placement as part of the course. I chose to go to Delicious. Magazine in London and also spent some time at a PR agency. I arranged the placement myself, but due to the lecturers connections within the industry they were happy to help if you were struggling to find anything suitable. “The lecturers were always willing to help and answered any questions, no matter how big or small. Their prior experience in the field was really useful as they could relate situations in our lectures to real life experiences and had completed all the NCTJ exams we were going through. “When I graduated I found that most of the jobs I was looking at, even those not directly for journalism roles, were asking for the NCTJ diploma, which shows how important it is. I took my first job at a PR agency in Nottingham, which received a grant from NTU on the Santander scheme to take me on. 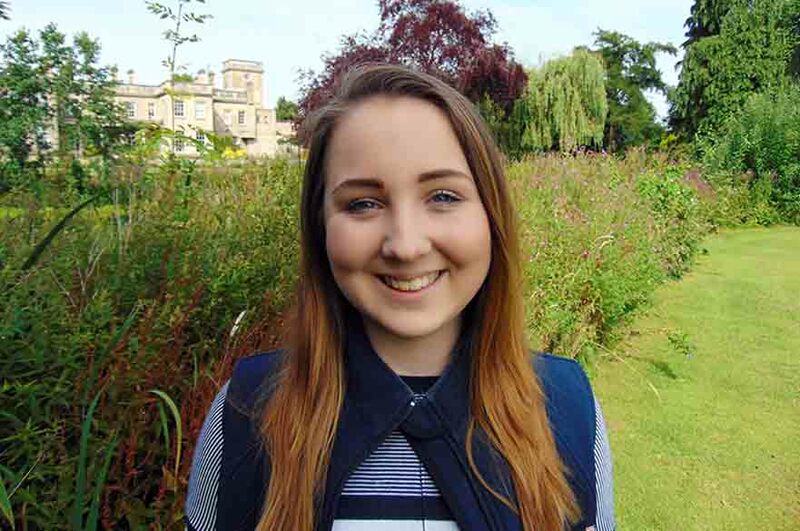 “I now work as a Marketing Executive at NTU in the School of Animal, Rural and Environmental Sciences. My typical day at work could include anything from updating the website to writing new copy for brochures, or helping at an open day. I get to work with a diverse range of people and also students and parents, which means I get to use all the communications skills I learnt at university. “Although the course title and content is based around working towards a career as a journalist, the course offers lots of other employability based sessions where you can learn about other related career paths, such as marketing and PR, which is really useful. “I love writing and communicating with lots of different people so working within the communications field was a natural fit. I’ve found something I really enjoy and feel really happy in my career. “In the future I’d really like to work towards a professional marketing qualification. After realising the importance and value of my NCTJ qualification I think it would help me succeed in the marketing field.